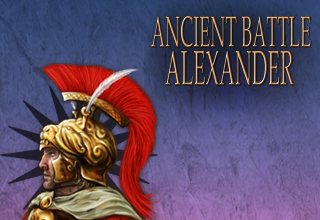 Ancient Battle: Alexander delivers a unique wargaming experience on iPhone and iPad. 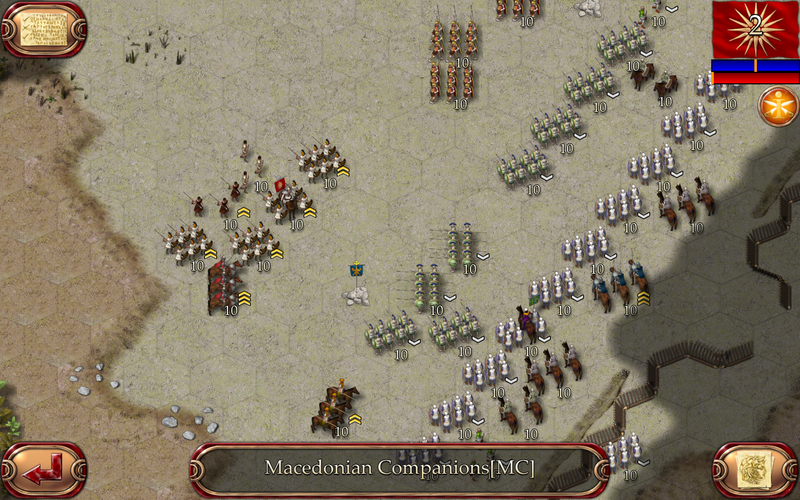 Use Macedonian Phalangites, Greek Hoplites, Indian Elephants, Scythed Chariots, Persian Cavalry, Catapults, Archers, Slingers, and many other unit types to engage in classic battles. Based upon, and a major upgrade to, the game system developed for Ancient Battle: Rome. 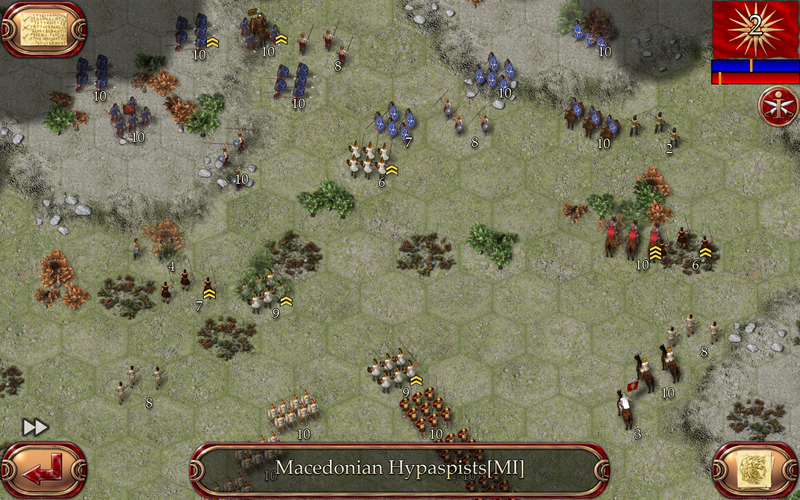 A game that was the No.1 strategy game on the App Store in 8 countries and reviews included: “Hunted Cow’s best wargame yet” – Pocket Tactics “Delivers everything one can expect from a strategy title” – Arcade Sushi “Smart, challenging, and surprisingly substantial strategy game” – Pocket Gamer Included in this version are three campaigns that allow you to refight Alexander’s battles in and around Greece and Macedonia, including the battle of Chaeronea. The second campaign follows his push to conquer the Achaemenid Persian Empire, while having to deal with rebellious Spartans in Greece. Finally Alexander’s campaign in India, ending in the epic battle of Hydaspes, with the Macedonian Pike Phalanx versus the masses of Indian Elephants. 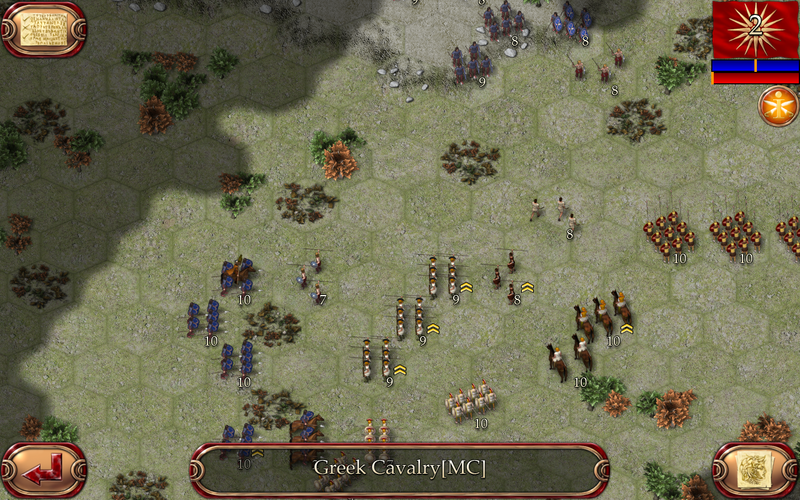 Major game system improvements on Ancient Battle: Rome include improved A.I., improved combat analysis system, better flank attack logic, better line of sight logic, Elephant Generals, and Greek Hoplites. 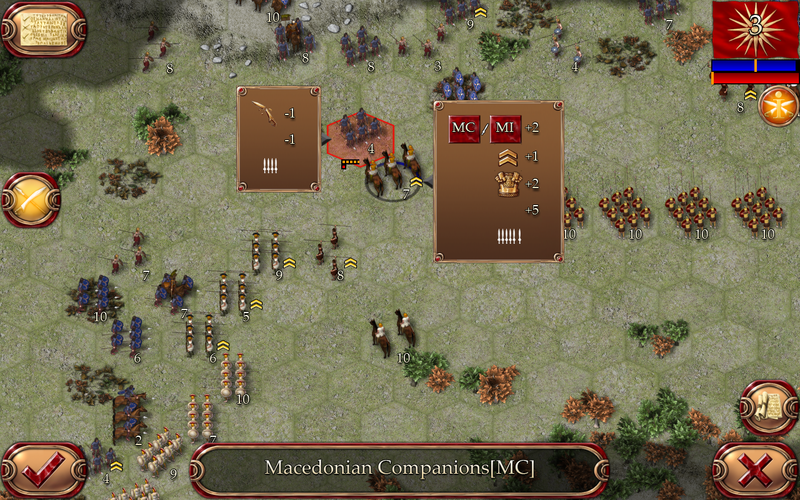 8 Mission Greece Campaign playable as the Macedonians or their opponents the Athenians, Thebans, Illyrians, Getae, Thracians and Triballians. 7 Mission Persia Campaign playable as the Macedonians or their opponents the Achaemenid Persians and Spartans. 5 Mission India Campaign playable as the Macedonians or their opponents the Classical Indians and Scythians.